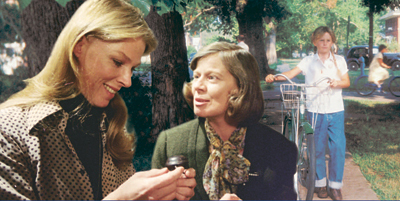 The DVD of MOTHERS & DAUGHTERS contains two half-hour dramas: "A Rainy Day" and "Summer's End," both dealing with mother-daughter issues. The cost for one DVD is $12.98 plus S&H of $3.98, a total of $16.96. Starring: Mariette Hartley, Collin Wilcox, Tracey Gold, Eric Holland, Bill Vint, Radha Delamarter, Jennifer Miller, Jordan Weeks, Graham Timbes and Lisa Foster.